The SQL STRING_SPLIT is one of the String Function, which is used to split the string expressions using specified separator. 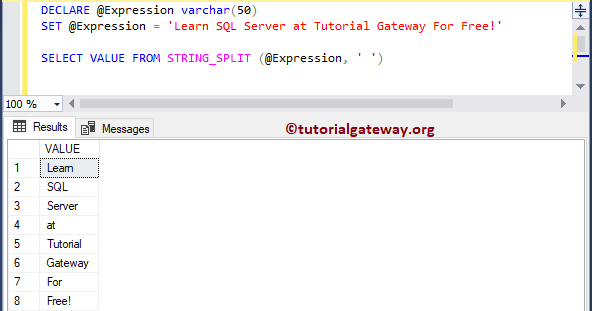 In this article we will show you, How to use/write STRING_SPLIT with example. 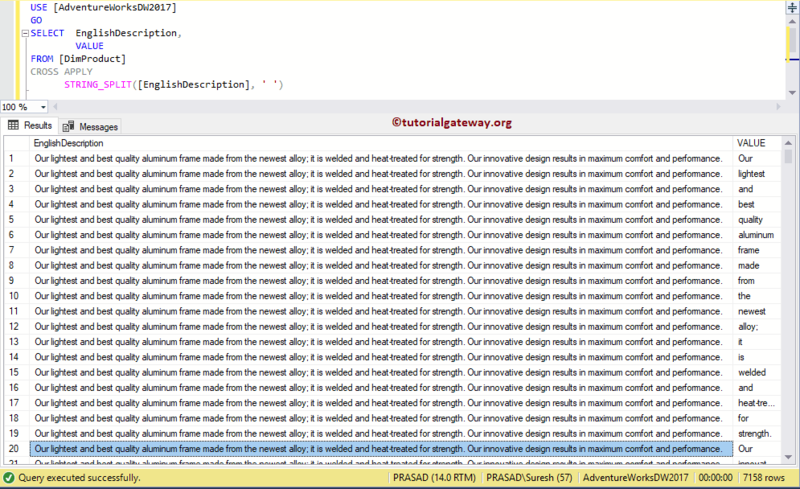 The following query will split the declared string using empty spaces in-between the words. 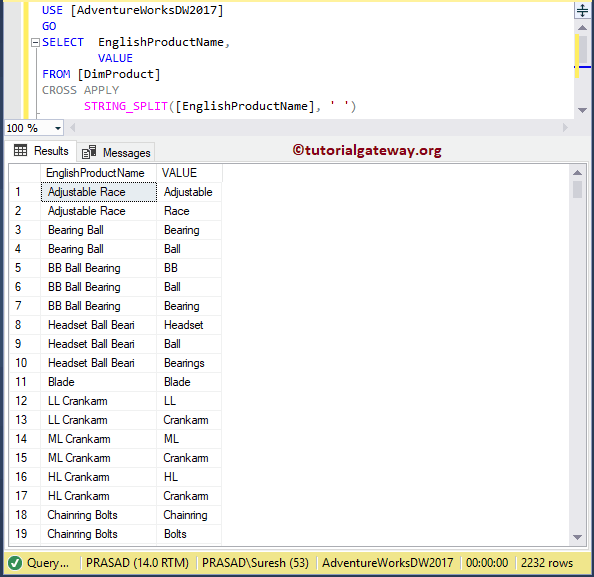 In this example, we are going to use String_Split to split the English Product Name column using space separator. In this example, we are going to use String_Split function to split the English Description column using space separator.